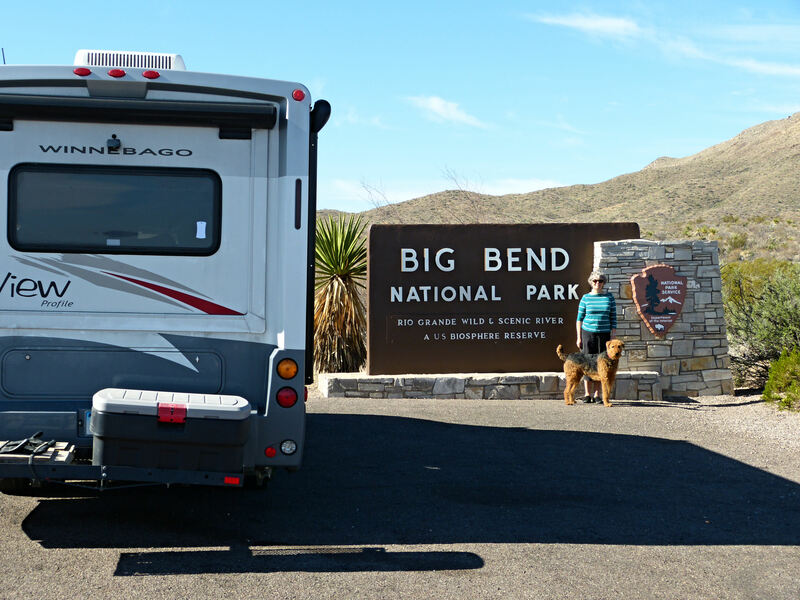 We spent six days at Big Bend NP this past week and loved every minute of it- except for the wind/ dust storm we had one night! 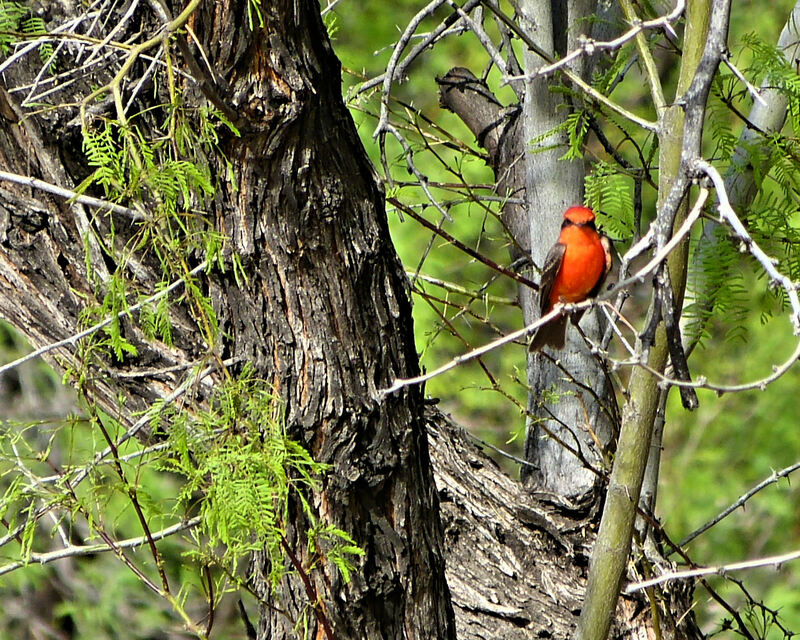 The Rio Grande Village Campground offers spacious sites and abuts the Rio Grande River. The river access was a short walk from our reserved site 51. The site cost $14 a night, and was worth every penny. There is also a RV Park with full hookups, but the place looked like a parking lot and there was not enough space for Woolly Bear to chill, or us either. There is little, if any, cell service in the park and wifi is available right at the camp store, but not in the campgrounds. Hence, no blog entries til now. We spent our first night 8 miles outside the Persimmon Gap Entrance at a really cool private campground called Stillwell Store and RV Park. The hosts were charming, and the real estate great! No neighbors within half an acre of us, just how we like it. 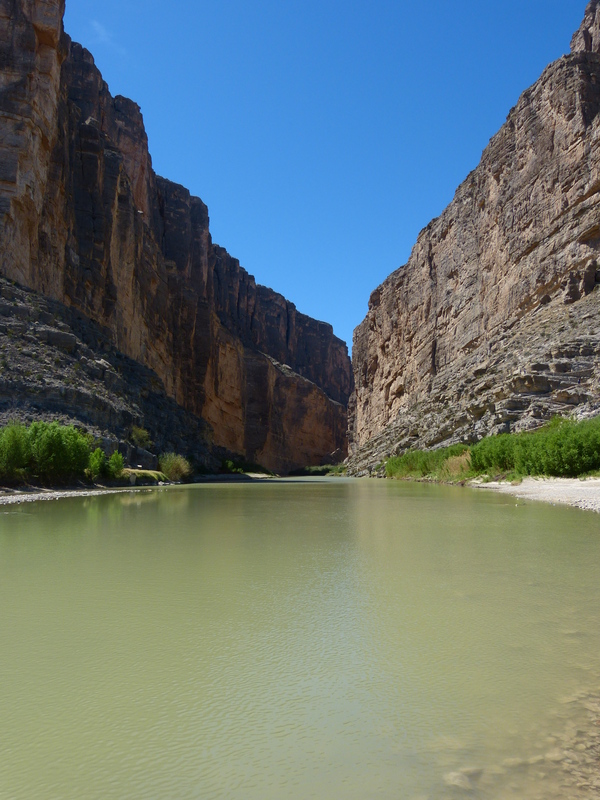 We enjoyed the nature trail and both river and outlook spur trails, saw a Great Blue Heron near the boardwalk, and were surprised at how shallow the Rio Grande is in spots. We actually saw a fellow wade across the river from Mexico one morning! 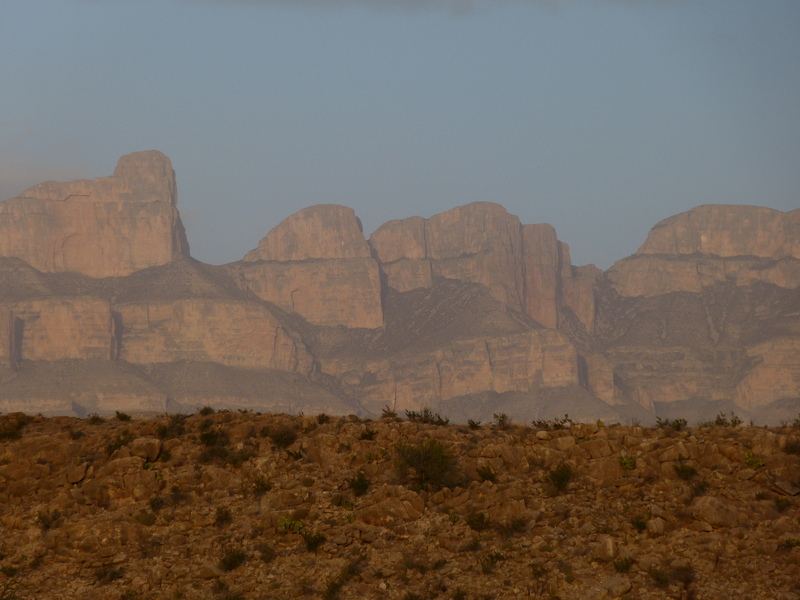 The Ross Maxwell Scenic Drive to Santa Elena Canyon is one of the prettiest drives we have ever done. A stop along the way at Sotol Vista gave us an amazing view, and we had the entire place to ourselves! 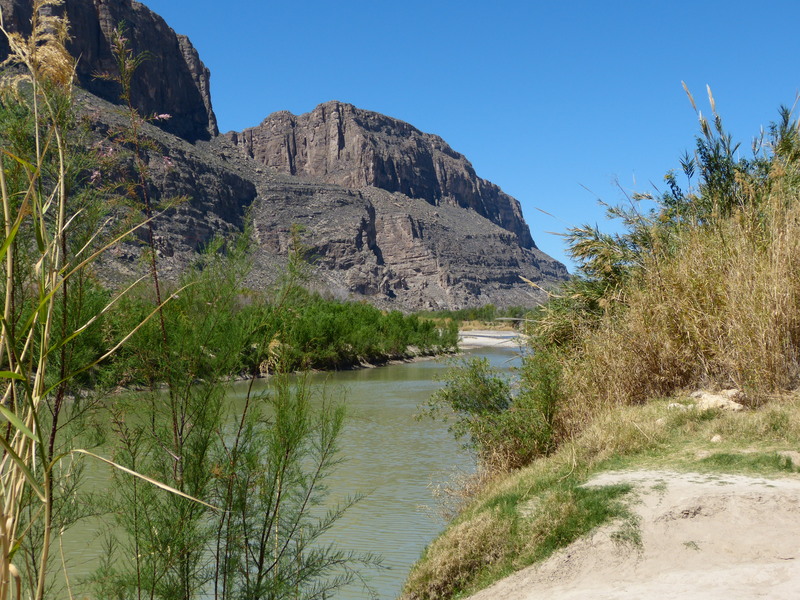 At Santa Elena Canyon we hiked to the Rio Grande and Charlie hiked the Santa Elena Trail. I went partway, but returned to the camper to check on WB, as it was in the high 70s and quite sunny. We had left the generator on and the AC, but I worried anyway. The next day we drove the steep and windy road into Chisos Basin, which was the most crowded part of the park, but simply beautiful. We hiked the Window Trail and also did the easy walk to the Window View. 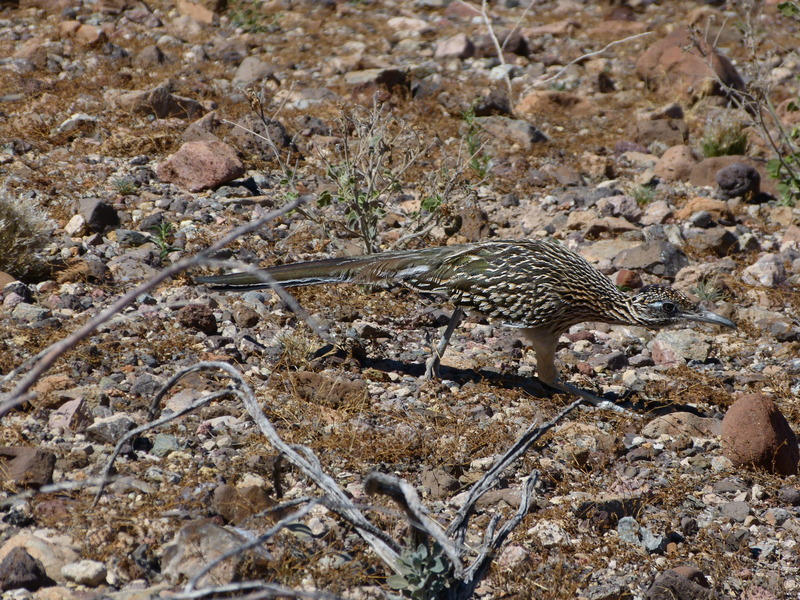 Big Bend did not disappoint! If we visit again we will bring a Jeep so that we can drive the numerous dirt roads that our camper could not travel. 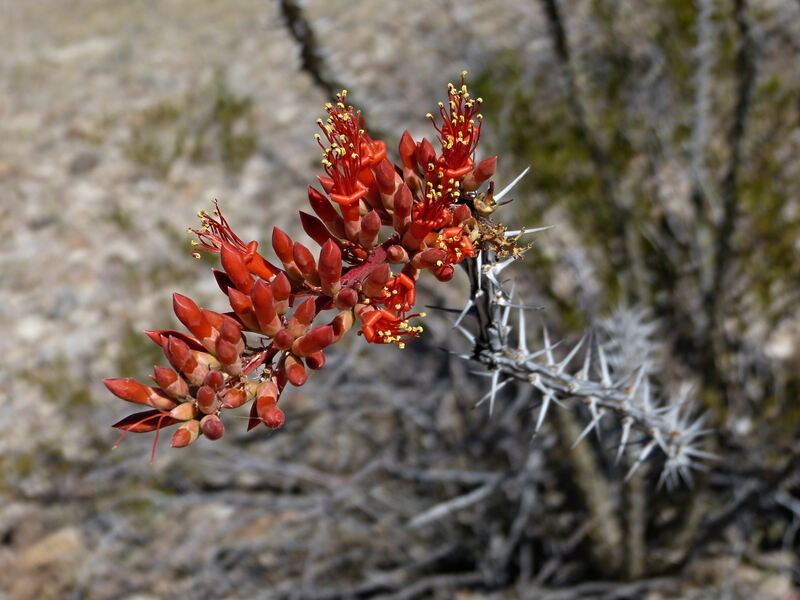 This entry was posted in camping, National Parks, Rving, Texas on March 22, 2014 by Ramblin' Rose. We are heading toward Guadalupe Mtn NP and Carlsbad Caverns. Thanks for looking at my post! These photos are utterly breath-taking photos ! Your trip seems to be getting better and better with each mile and moment! Have a safe, fun and exciting trip to your next destination! I look forward to your next chapter! Beautiful pictures! It’s jaw dropping scenery! glad to hear that you guys are having such a good trip. Carlsbad Caverns, I was there when I was in my teens, but don’t remember much about it but the name. One place out west that really left an impression on me was Zion National Park. Looking forward to seeing and reading more of your posts! Safe travels! Thanks, Pam. Charlie gets all the credit for the pictures. We will put Zion on our need to visit list! Beautiful photos! Thank you for sharing! I look so forward to reading your posts. Thanks for reading it, Roseann!